Brands are getting all nostalgic with their TV spots for the highest viewed media booking in the world. 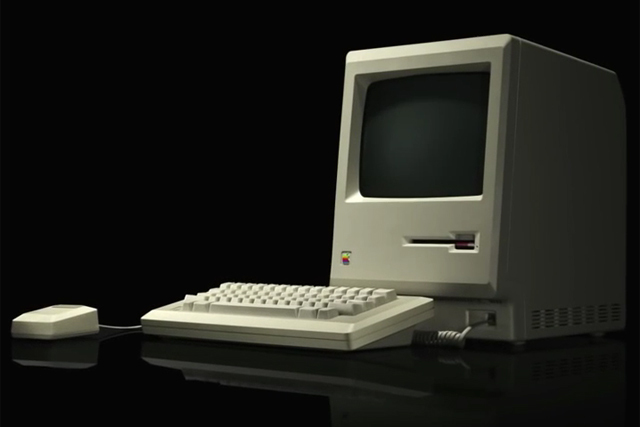 Apple’s return to Super Bowl advertising is focused on its 30 year anniversary, amid speculation it will even rescreen an original 1984 commercial. Meanwhile, Microsoft’s new Internet Explorer ad is aimed at children of the 90s. So is this a nostalgia for nostalgia’s sake, a scraping the bottom of the idea barrel or just savvy targeting and maximum ROI from the two biggest tech companies on the planet? My argument would be for the latter. Who is it that watches the Super Bowl? Well, everyone as we know, but who is the most valuable audience? It’s not the Gen-Z kids, they’re too busy being creative, snapchatting their rude bits to each other and generally being too busy on multiple platforms and devices to sit still for long enough to pay attention. It’s not the baby boomers, they’re just about getting to grips with the tablet their kids bought them a month ago and have no plans to buy any more hardware or software soon. Unless you count the 99c Sudoku app that was reviewed in the latest issue of whatever the USA equivalent of the Daily Mail tech column is. It’s obviously us rapidly ageing dinkies, single parents, post-nuclear families and the like, fast approaching our forties and looking back on what once was. Those of us that hanker for the good times, when we used to talk to each other rather than send a hurried text (texting is so two years ago by the way, get with the programme and embrace Kik, Snapchat, WhatsApp, etc. On the other hand, don’t). Remember the good old days? John Lewis does, why do you think every single frame of its successfully saccharine Bear and Hare Christmas spot was hand drawn? Just to touch the very nerve that makes us feel fuzzy inside. We’ve now reached an age where nostalgia marketing just works. It’s nothing to do with hard times, austerity or retreating back into our ice age caves. It’s just our age. As a general amorphous mainstream mass, we are at a stage in our lives where warmth, comfort, familiarity and security are particular brand traits that portray a positive ideology. Our emotional bonds with brands that have a longstanding relationship with are reaffirmed. Remember when you were unencumbered by the trials and tribulations of your life? Yeah, well those brands were there. They were with you. They changed things then and they can still do it now. They'll also be there in five and 10 years time making sure that you keep parting with your hard-earned disposable income to fund their R&D departments creating future tech. Tech that your kids will eventually buy you for Christmas and you'll grumble about how things were simpler in the old days. Your kids won't be listening of course, they'll be getting all nostalgic over the Super Bowl 65 TV spots. Ever noticed how all film baddies are Brits and drive Jags?